Our pillow furniture is an economic, long lasting, portable, and comfortable choice for any school, college, or dorm situation. 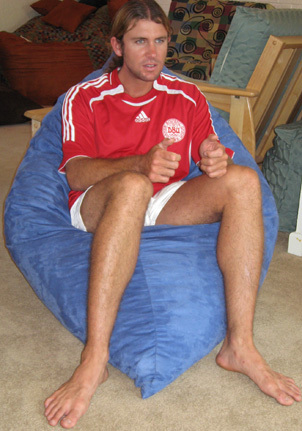 Made from synthetic fibers our pieces are stain resistant and are easily cleaned. 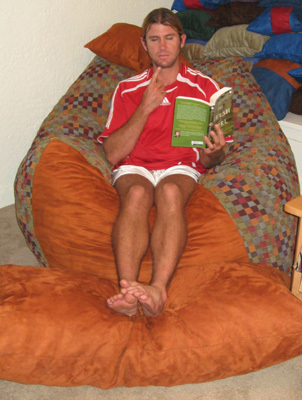 Our Raindrop Chairs and Pillow Chair Sets are great for studying, reading, playing games, or just relaxing. Our versatile Raindrop Beds and Pillow Lveseat Sets work great as as everything from chairs to loungers to beds. We make all our Pillow Furniture from high quality, durable fabrics in a wide selection of pattern and colors, filled with specially cut polyurethane foam to offer comfort and support for years. 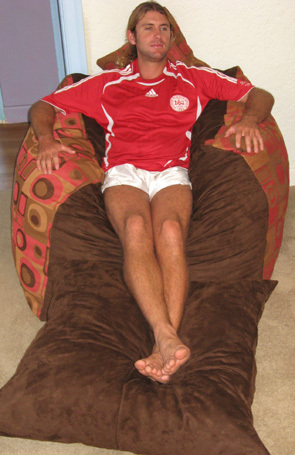 You can even show your school spirit with custom two-toned pillow furniture in your colors! We also care a wide variety of high-quality, affordably-priced Mattresses, Beds, Bunk Beds, Dressers, Desks, Tables, Futons, and more! All our furniture is made of environmentally sustainable hardwoods and come in a variety of finishes and styles to match any design needs. Many of our pieces also break down easily for simple transport and storage. Local delivery and assembly is also available! Contact us for discounts on large orders. Use your imagination to begin transforming your dorm or apartment! A two-toned foam chair set. 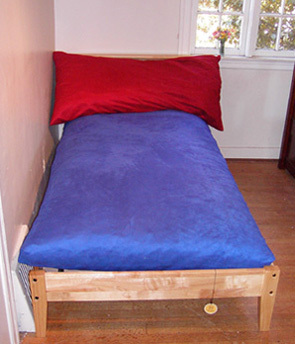 A twin foam bed shown on a thyme platform bed frame. 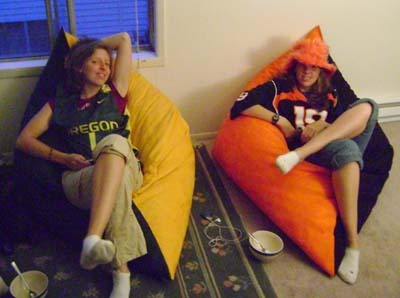 A two-toned loveseat set used as a lounger. A sky blue raindrop chair. Show your school spirit with custom chairs!